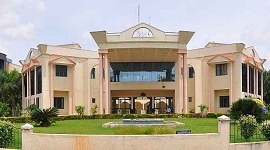 Poojya Doddappa Appa College of Engineering (PDACE) is the Golden Jubilee College, established in 1958, located in Gulbarga. 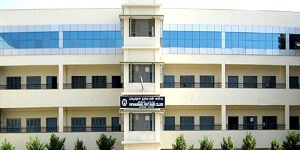 PDACE was established by Hyderabad Karnataka Education (HKE) Society. PDACE receives funds from both Central and State Governments. World Bank also sponsors funds to our Technical Education Quality Improvement Programme (TEQIP, both phase I and II). Many number of PDACE's projects have been approved by Ministry of Human Resource Development (MHRD), Government of India. Across all the departments, laboratories have been modernized with the aid of MHRD to meet world-class quality. Starting from the academic year 2007-08, Visvesvaraya Technological University (VTU) has declared PDACE as Autonomous status to the college. 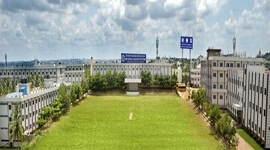 The college spreads in 71 acres with lush green lawns and wide clean pathways. 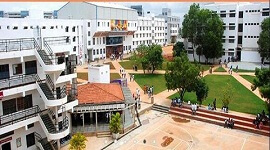 College provides pleasant environment with well placed buildings within the campus. Laboratories are well architectured and well planned to accommodate modern equipment. All the departments have LCD projectors, smart boards, lap tops, libraries, and audio-visual equipment for teaching. In the state of Karnataka, PDACE was the first college to start Electronics and Communication Engineering (ECE) department in 1967. Nearly 70% of our students secure job offers before their course completion. For the academic year 2014-2015, over 23 MNC's offered jobs to more than 124 students. Having understood the current job market needs, PDACE is the only college offering course in Ceramic and Cement Technology. We offer value education with 11 UG courses with 800 intake, 10 M.Tech programs with 193 intake under various departments, 11 VTU-recognized research centers offering Ph.D under various engineering and other disciplines. PDACE regularly conducts training programs, workshops, project exhibitions to boost confidence in the students and to meet international universities' standards. With the overwhelming number of 220 teaching and 300 non-teaching staff, PDACE continuously sets goals to reach new heights of success. Golden Jubilee autonomous college, established in 1958 with funding received from state and central governments. TEQIP phase I and II, World Bank funding. Completely modernized laboratories and equipment to facilitate hands-on experience to the students. An 11 UG courses with 800 intake, 10 M.Tech programs with 193 intake under various departments, 11 VTU-recognized research centers offering Ph.D under various engineering and other disciplines. Nearly 70% of our students secure job offers before their course completion. For the academic year 2014-2015, over 23 MNC's offered jobs to more than 124 students. NBA accreditation to all the departments. A 220 teaching and 300 non-teaching staff. Placement office functions in a separate block with all audiovisual facilities for PPT, written test, group discussion and interviews. The college has an independent Training and Placement Office headed by a professor designated as a placement officer and supported by a placement coordinator from each department. Placements are made by inviting a number of companies and organizing campus interviews for higher semester students. Assistance is given to students who are not placed through campus interviews, to take up jobs through off campus mode. Our college training and placement office also coordinates the placement activities for all the engineering colleges of VTU, Gulbarga region. In 2000, the best college award by Karnataka State Council for Science and Technology, Bangalore in the students projects exhibition. 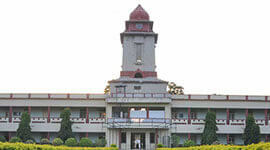 An autonomous institute with 71 acres of campus area with lush green lawns and wide clean pathways. Wi-Fi enabled campus with high speed internet leased line connectivity. 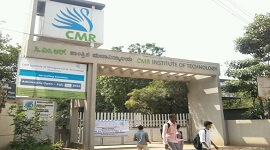 Numerous hi-tech computers and state-of-art laboratories. 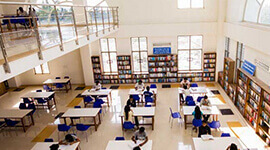 Seminar halls, computer centre and reading room in each department. Library and information centre with overwhelming volumes of books. ITBT Center established by IT Dept., Govt. of Karnataka for students' IT incubation activities. A very huge auditorium with multi-seater gallery hall. Separate hostel for boys and girls with all amenities. First aid and medical facilities, bank, cooperative store, canteens, power back up. 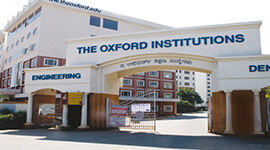 World Bank funded TEQIP - Phase I and II institute. 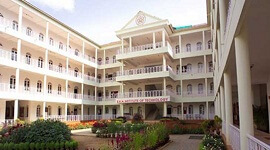 Government aided Golden Jubilee college. 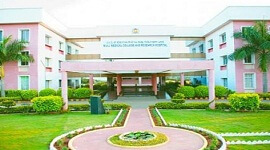 Autonomous college with permanent affiliation to Visvesvaraya Technological University, Belgaum. All the departments have NBA accreditation. High percentage of campus placements. More than 500 members of well-experienced and friendly teaching and non-teaching staff.